Tell us you're interested in organic certification. We are available for contact weekdays between 9-5, with a whole team eager to help you. The quickest route for contact is to register your interest. 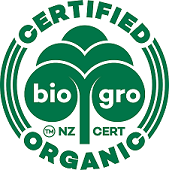 Alternatively, you can email us using info@biogro.co.nz or call us on 04-801 9741. We also offer Initial Contact Meetings with a one-on-one consultation about whether certification is right for you. 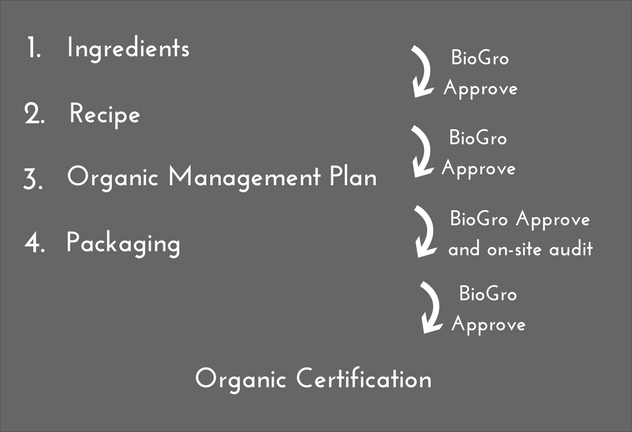 During this assessment, BioGro will require a breakdown of your formulations and the percentages of your ingredients. We will be analysing all facets of the product including all ingredients, additives and processing aids. The pre-assessment fee is $250 plus GST + $45 per ingredient. This process takes a minimum of two hours per product. If your product is compliant and you decide to certify with BioGro, we will subtract $250 from the certification fee. This is all dependent on the complexity of your product, and whether you are looking to export. At a minimum it can take 5 working days, with a maximum of 40 working days. Following a satisfactory audit report, we issue you with certification, and supply you with our highly recognised logo. We then require a copy of the product label(s) for us to assess and approve before you go to print. The annual cost of certification is $1950 plus ingredient fees, auditor fees and G.S.T (auditor fee calculated on region). Please be aware that there are also small ongoing approval charges. Once you have submitted your application, we will give you a personalised quote.